I've been up to these waterfalls a few times. They are an easy bike ride from Taipei. The ride up the mountain itself is steep but short; I usually walk and ride my bike up in about 20 minutes. 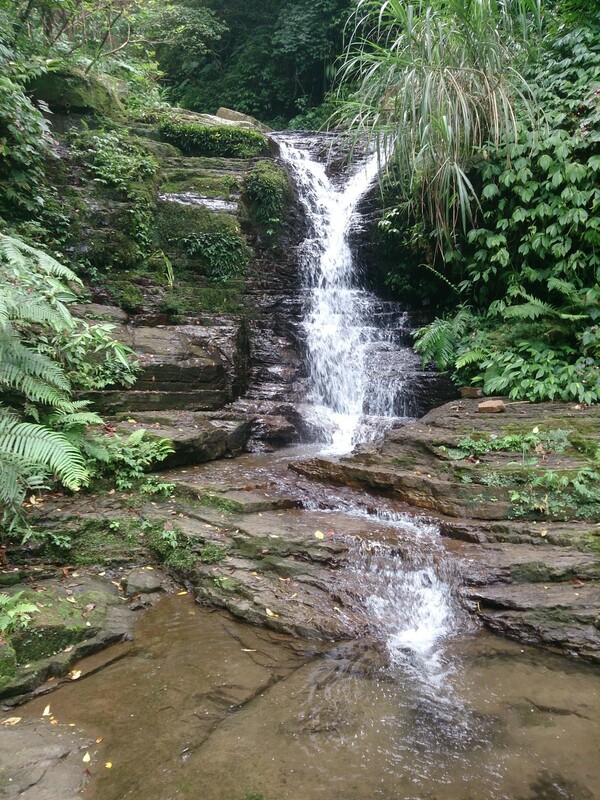 There are three small waterfalls on this part of the mountain. I've yet to head over to the other parts but I'm sure there are some more around. Main Fall. You can see the railing for part of the trail high above. This is where the waterfall starts. 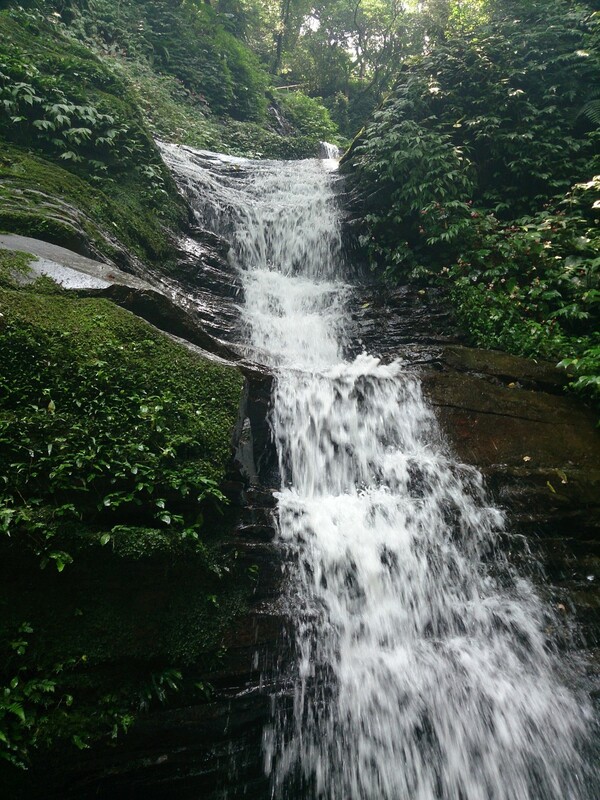 The largest is Dajianshan waterfall itself. It's easy to find and just a short walk from the road. I tend to spend longest here as it gets the most sun. 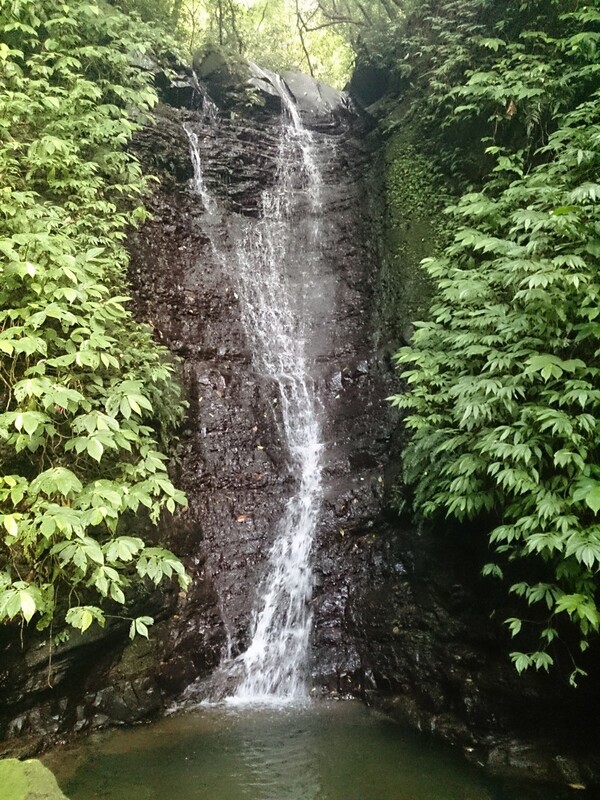 The waterfall has several levels but only the lowest is accessible. There's a pool here about waist deep. It's a chill place to cool off after a summer bike ride. I've only on weekdays, and it was very quiet. There is a short trail that leads to the top of the falls. It ends at the head of the falls but you can scramble a short distance along the valley to a smaller fall. This one is not spectacular but if the main fall is packed it would make a nice escape. The smaller fall above the main fall. You could probably continue up and over this fall, but I had no river tracing shoes and it was too slippery. Lower down the road there is a small trail leading into deep woods. About 200 metres along this what I've called Dajianshan Valley Waterfall as I don't know it's name. It's a small cascade that hugs the rocks, but it looks more impressive in person. There's a small circular pool at the base with some rocks around for seating. This fall is very quiet and shaded, it was cool even in summer. There isn't much of a trail, which prevents the usual groups of noisy pensioners reaching it. Some ropes just before the fall lead up the valley side as part of a difficult looking hiking trail. If you want a quiet afternoon relaxing in a waterfall these are a pretty good choice, and don't require a lot of travel from Taipei. For directions open the map link below and type in the waterfall name.